Spring is in the air, and I can’t get enough of the sunshine, the freshly cut grass, and all of the newly sprouted flowers. With more sunshine, and the warmer weather, it’s time to brighten up the wardrobe and lighten up the chunky layers. One of my favourite pieces all year round is a chambray shirt. 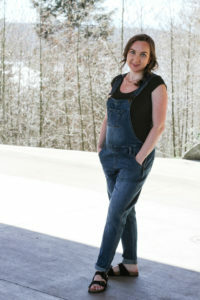 There’s lots of ways to style it, but I’m a big fan of this Pinterest inspired spring outfit. 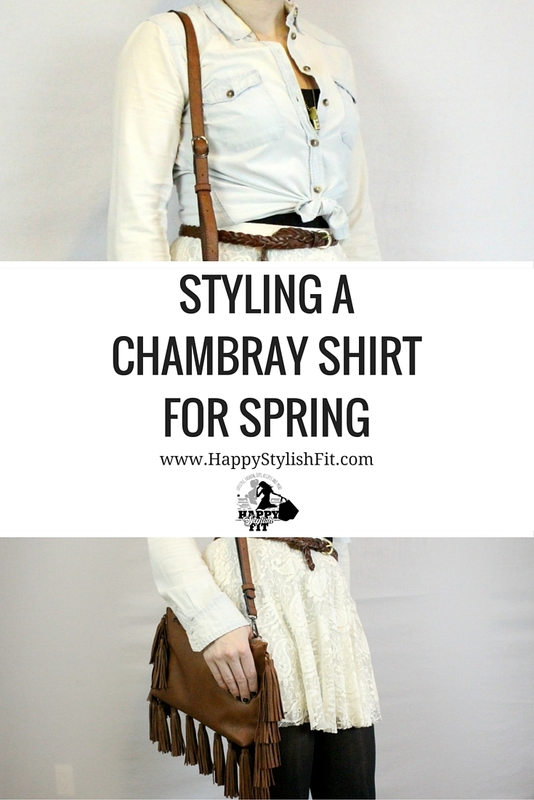 I paired this chambray shirt with a white lace skirt because it really screams spring to me, but you could pair it with many different kinds of skirts. It’d be really cute with your favourite maxi skirt and some flats, or your could mix it up with some coloured denim and cute thigh high boots. Whenever bottoms are high wasted it’s nice to emphasize your waist by knotting your shirt, using a small belt, or both. When you choose to use a waist belt, a little styling can go a long way. 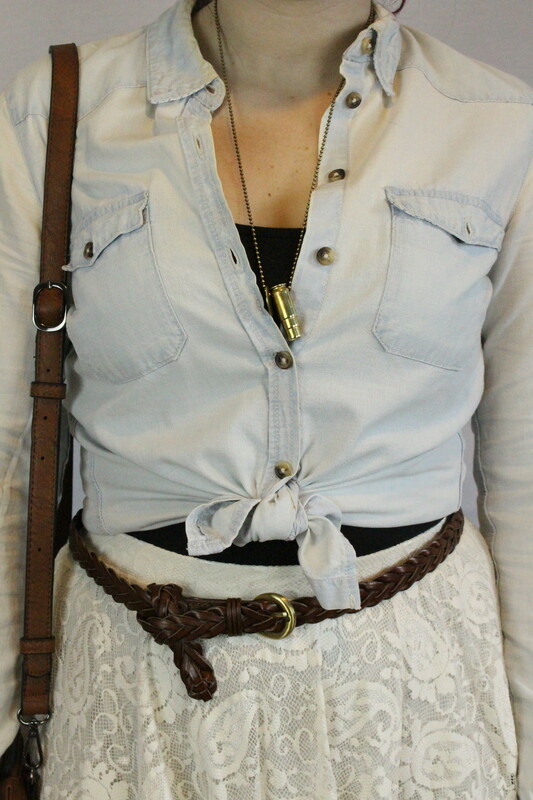 This is a go to way for me to style a waist belt. It’s super simple, and is a little bit more polished compared to leaving the end hang loose. 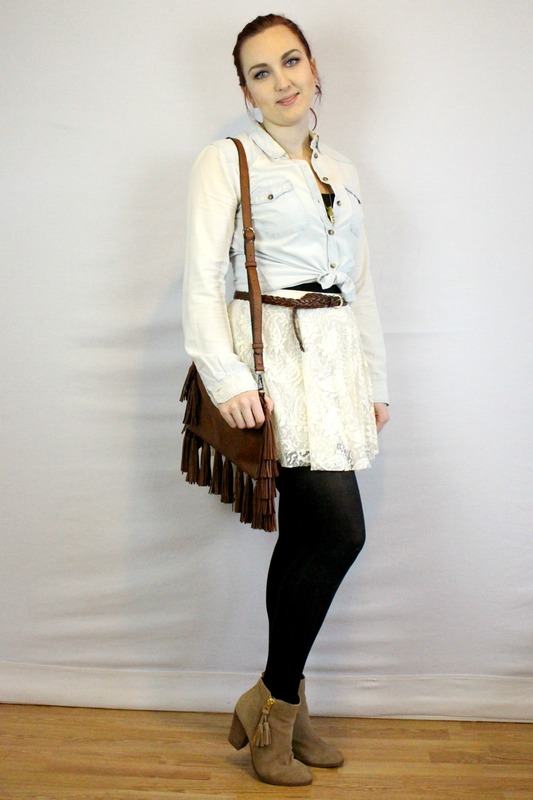 Pinterest has lots of ideas for styling belts, and other outfit inspiration. Fringe and tassle details are a huge trend this year. 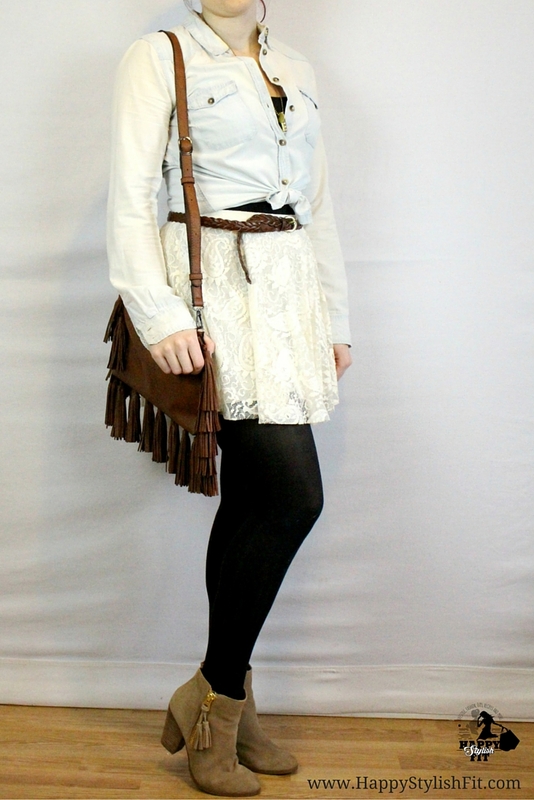 How cute is this fringe purse!?! I’ve become obsessed with it, and same thing for these super cute booties with little tassles. If you’re feeling a little plain fringe details are a great way to add a little umph, or a little something special to your outfit. I’d love to hear your thoughts on the outfit. What is your favourite part? 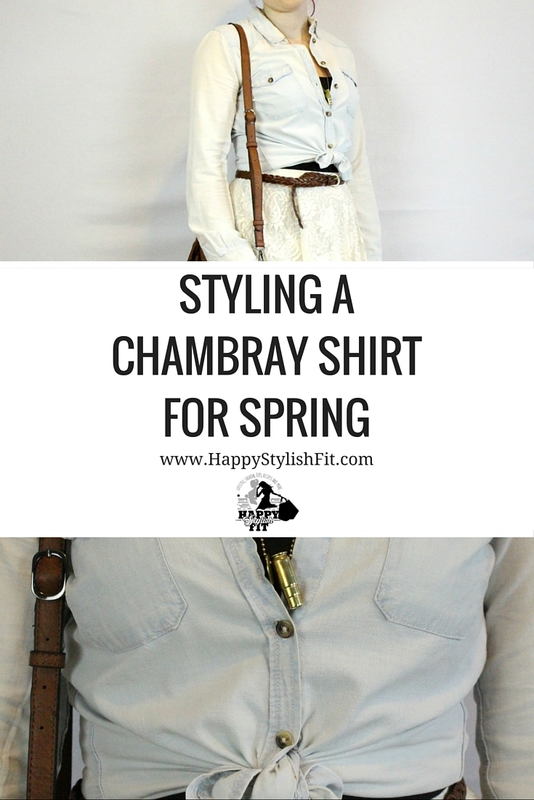 How do you like to style a chambray shirt? If this post inspires your next outfit please share it with me on social media, I’d love to see it! 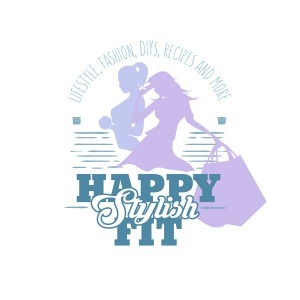 If you share it on Instagram make sure to use the hashtag #HSFLife and tag @HappyStylishFit so that I can see it.